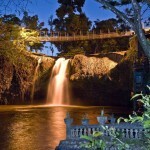 The Mena Creek Hotel is only a short walk to the RACQ #1 Must Do, Paronella Park. Stay with us for a few days to take advantage of the repeat entry afforded by your Paronella Park entry ticket and also explore the other attractions on the Canecutter Way. Our accommodation and amenities, catering for singles to family groups, are all on the same level and under cover. Evening meals are available for house guests seven nights a week. House guests experiencing the Paronella Park 6:20pm Darkness Falls Tour will return to the hotel in plenty of time to enjoy an evening meal from our kitchen. More information on our meals. 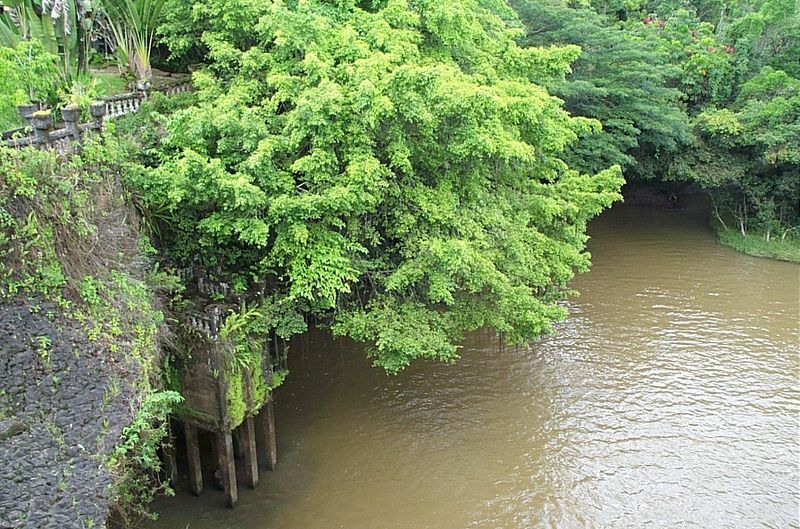 José Paronella built a castle, a picnic area by the falls, tennis courts, bridges, a Tunnel of Love, and planted 7,500 tropical plants and trees. José also built a hydro-electricity generator to supply electricity to his dream. Paronella Park opened to the public in 1935. Today, visitors to the park marvel at the achievements of this visionary man. 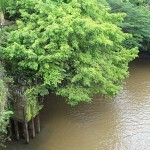 Visitors can explore the park on their own and also join the guided tours and hear the story of José Paronella’s dream. The Dream Continues tour – a 45 minute guided walk, departing every half-hour from 9:30 a.m. until 4:30 p.m., highlights features of the park and telling the story of José Paronella’s ideas for the site. The Darkness Falls tour – a one hour night tour of the site at 6:20 p.m., with an additional tour at 8:30 p.m. during peak season. Self-guided Botanical Walk – a self-guided tour, with the aid of a 16-page booklet containing details of the Park’s flora, with various tree species identified throughout the Park. 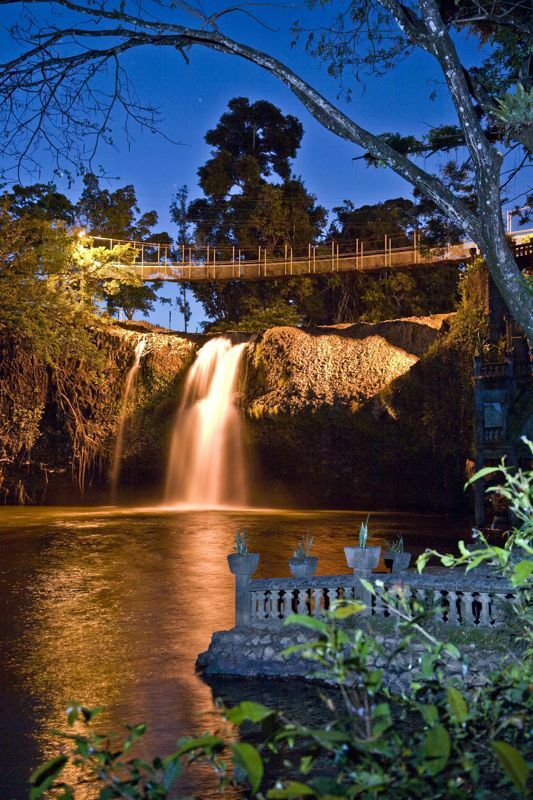 In 2004, Paronella Park was named Queensland’s premier significant attraction by the Queensland Tourism. It was also a joint winner in the “Emerging Business” category of the Reconciliation Awards for Business (2004), awarded by the Queensland Government. In 2009, Paronella Park was voted the RACQ number one must-do attraction in Queensland by over 150,000 people from over 150 countries. Paronella Park was built in the 1930s by José Paronella, a Spanish immigrant. José Paronella built facilities, including tennis courts and a cinema and a ballroom inspired by Spanish castles, to provide entertainment for the public. Since his death, a fire, cyclones and several floods have badly damaged the park and the buildings. The park changed owners several times until, in 1993, it was bought by the present owners, Mark & Judy Evans. 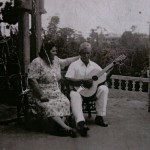 José Paronella arrived in nearby Innisfail, Queensland, Australia in 1913, having sailed from Catalonia in northern Spain to plan a splendid life for himself and his fiancé Matilda. José worked hard for 11 years, creating his wealth by buying, improving and selling cane farms. While traveling through the beautiful countryside he discovered a virgin forest alongside spectacular Mena Creek Falls – perfect for his dream. Upon returning to Spain, José discovered that Matilda had married another! Determined to sail back with a bride José proposed to Margarita, Matilda’s younger sister. 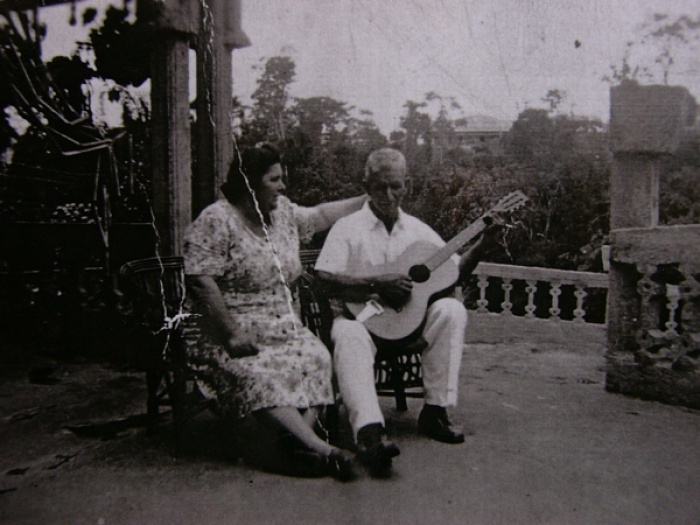 One year later the happy newlyweds were ship bound for Australia and by 1929 had purchased the land of José’ dreams. He first built the grand 47-step staircase to shift building materials between the lower and upper level. Here the fun-loying couple had their cottage hand built of stone, and moved in on Christmas Eve. Inspired by childhood memories of Catalonian castles José and his workers set to work designing an entertainment area. Their fingerprints in the cement foundations remain as testament to their extraordinary effort that guaranteed joyous times. A movie theatre transformed on weekends into a huge ballroom with live bands who entertained while while a massive ball of mirrors spun from the ceiling to reflect a dazzle of pink and blue lights. Surrounding their home and castle, more than 7000 trees were planted including an avenue of Kauris that tower now like cathedral spires in a sacred forest. North Queensland’s first hydro electric plant was built in 1933 to power the 5 ha (13 acre) park, and the castle grounds were ready to welcome the public in 1935. The Paronellas invited everyone to movies on Saturday nights, built tennis courts from crushed termite mounds, and a pavilion with turret-topped balconies, refreshment rooms and changing cubicles for swimmers. Eventually a museum featured a collection of coins, pistols, dolls, timbers and interesting keepsakes. Unexpectedly the tale of Paronella Park took swift and dangerous turns starting in 1964 when a mass of logs from a clearing upstream swept away a railway bridge and descended on the park, destroying the refreshment rooms. Undaunted, the Paronellas replanted gardens, repaired what they could, and re-opened for business 6 months later. José died in 1948, leaving Margarita, daughter Teresa and son Joe. Teresa married Pino Zerlotti and Joe married Val Ribes. In 1967 Margarita died leaving Joe and Val as custodians of José’s dream. After Joe’s death in 1972, Val and their two sons Joe and Kerry, continued until the park was sold in 1977. In 1979 a fire swept through the castle, leaving only the walls and the turret as a reminder of what had been. In 1986, Cyclone Winifred tested the parks endurance once again. In 1993, Mark and Judy Evans, the parks current owners, rediscovered the almost lost park and envisaged reviving José’s dream with his appreciation for beauty and warm hospitality. With the help of the Paronella family José’s story was written ["The Spanish Dreamer" by Dena Leighton, available in the Paronella Park Gift Shop]. Paths were uncovered, buildings repaired, trees identified, and a museum created in the original home built by José for his family. Cyclone Larry in 2006 added another chapter of endurance to the story, and the dream continued once again. 2009 saw the refurbishment of the original hydro turbine which once again provides power for the entire park. Today, visitors are taken on a range of guided tours. The story is told and the highlights of the Park shown through the day and into the night. Paronella Park is eco-certified and heritage listed. Efforts today focus on maintaining the property while staying true to its historic and eco values. A number of ongoing restoration and preservation projects will see the Paronella Park story live on for many years to come. In 1933, Paronella installed a hydro-electric plant, the first (privately owned) in Queensland, on the waterfall in the park. He used it to supply power for the park’s lighting, pumps, refrigeration and cinema. The town of Mena Creek also used some of the electricity. The plant was eventually decommissioned.